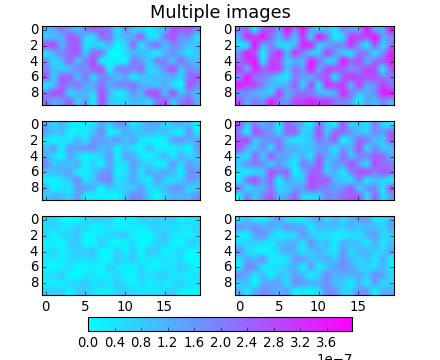 Make a set of images with a single colormap, norm, and colorbar. It also illustrates colorbar tick labelling with a multiplier. # somewhat from one plot to the next. # use in setting the color scale. # observing it for changes in cmap or norm. # The colorbar is also based on this master image. 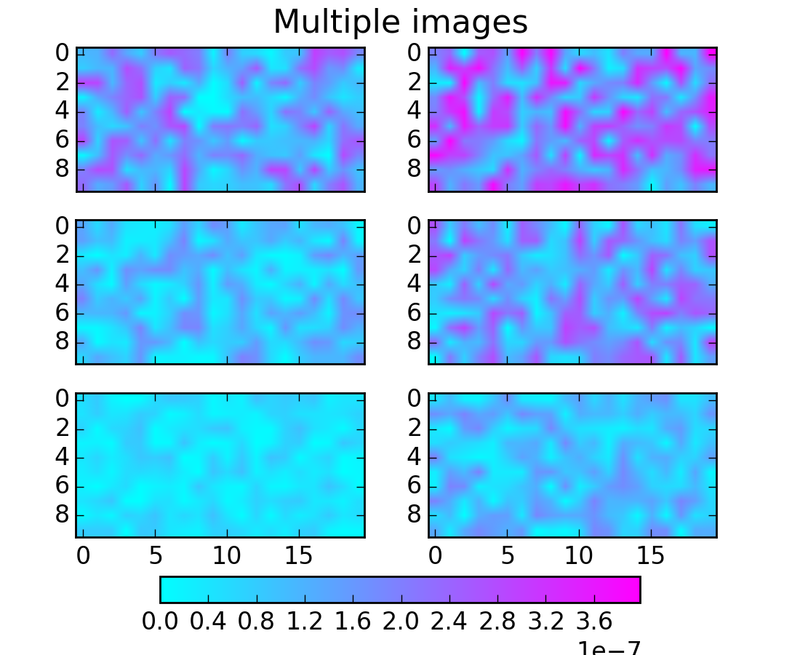 sci(images)  # because the current image must be in current axes.